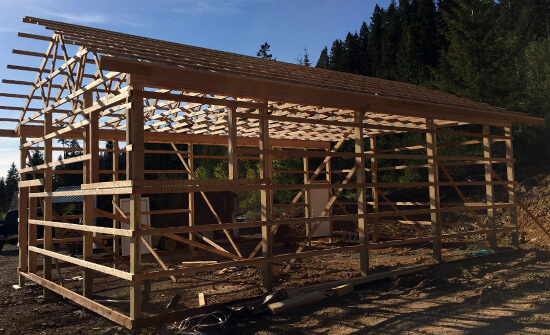 Trout Creek Truss offers the material you need to complete your next pole building project. Offering Metal Roofing, Siding, Micro Foil 1/4" Insulation, MicroLt 1/8" for Vapor Barrier, Laminated Posts, Perma Columns, and we sell and install garage doors. Custom orders available for Fabral metal roofs and siding, and a large selection of Laminated Posts from Timber Technologies. Top-tier customer service is always immensely important here at Trout Creek Truss. Our staff members are devoted to excellent service. If you're interested in fine craftsmanship and in sturdy and reliable material, call us today for more info on how we can help you.